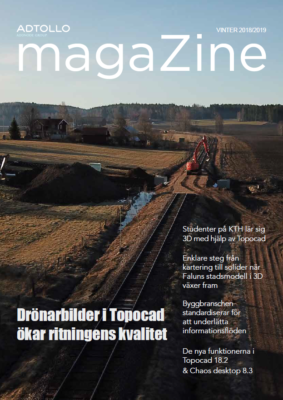 Topocad is a CAD system (Computer Aided Design) which in its structure is very close geographic information systems GIS. Topocad file contains data types from three different worlds – CAD, Coordinate files and GIS. In Topocad we have built a large number of features for managing land surveying engineering calculations regarding the map, measurement, and real estate. In Topocad CAD are a large number of calculation functions for surveying. Transformation via Helmerth and Affins calculations (with and without a scale), built Gtrans from the Swedish National Land Survey and the open source product Proj4 (GDAL) where all the world coordinate system specified in EPSG can be transformed. Calculation functions are also known as COGO (coordinate geometry), scale, move, rotate, mirror, and a large number of geodetic calculations .